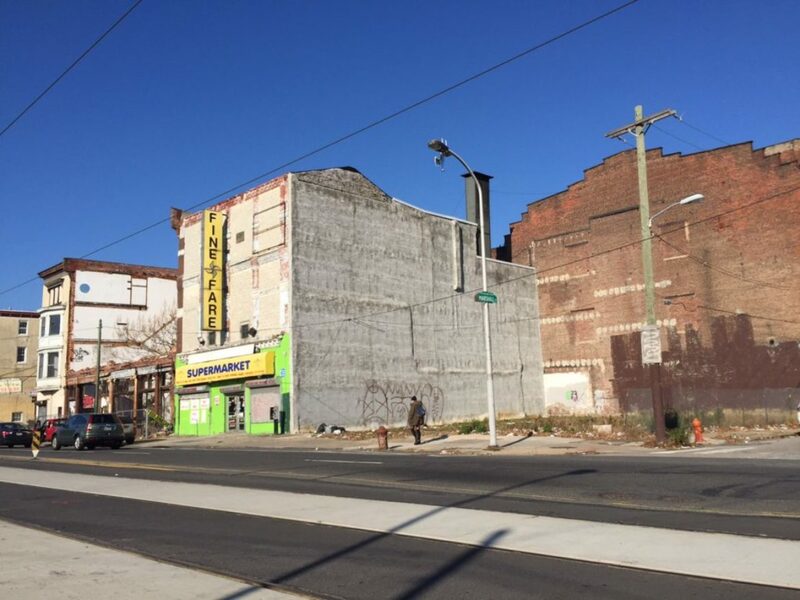 Development For Long Vacant Property on Girard? There are some blocks in this town that we just can't quit. Every year it seems we find ourselves on the 600 block of W. Girard Ave., hoping that this block will finally take a step in a positive direction. With the amazing Tiffin anchoring the south side of the block for several years, you'd have thought that the north side of the block would have experienced some redevelopment by now. But it looks more or less the same as it has for as long as we can remember, aside from the demolition of an old stucco building about a year ago. You can see there are only two buildings left on this block. At the corner of 7th Street, there's a mixed-use building with Melrose Bar on the first floor. This place has been a nuisance bar for years, but there are currently plans to close the Melrose and open a new restaurant in this building. 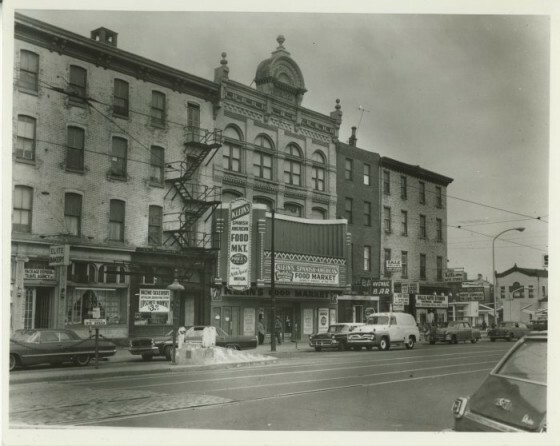 The other building, home to the Fine Fare supermarket, was originally built as the Girard Theater around the turn of the century. Needless to say, the facade has been butchered beyond recognition. For some great history of the building along with an amazing interior photo, click here. In between the two structures sit the remains of a building that was demolished sometime between 2007 and 2009. It's been on and off the market over the years, most recently listed for just shy of $600K. And if you'll notice from the first picture above, some zoning notices recently appeared on the property. Yes folks, the redevelopment we've been awaiting for years looks like it's finally on the way. According to the zoning application, the developers are looking to build a mixed-use building with ground-floor commercial and eighteen apartments above. There will be a small parking garage in the back, accessed via 7th Street, with parking for four cars. We don't know whether the plans will incorporate the leftover bits of facade from the old building, but we'd bet against it. We're not gonna suggest that this block will ever look anything like this again, but this project is huge news for a block that's seen a ton of blight and vacancy for many years. We're not clear on the community response to this project but it certainly seems like a reasonable use for a large parcel on a major street. We'll see what the ZBA has to say, but we're cautiously optimistic.